Lorenzo Garlappi is Professor of Finance at the University of British Columbia, Sauder School of Business. Prior to joining UBC, he was Associate Professor of Finance at the University of Texas at Austin in the McCombs School of Business. He holds a bachelor's degree in Economics from Bocconi University, Milan, Italy, a doctorate in Mathematical Economics from Trieste University, Italy, and a Ph.D. in Finance from the University of British Columbia, Vancouver, Canada. His research focuses on two main areas: (i) real investments and capital markets, and (ii) portfolio choice. 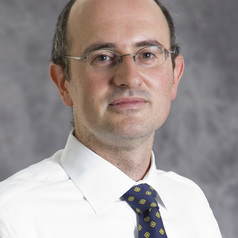 His work has been published in The Journal of Finance, The Review of Financial Studies, The Journal of Financial Economics, The Journal of Financial and Quantitative Analysis, The Review of Asset Pricing Studies, The Journal of Public Economics, Management Science, Computational Economics, and Economics of Innovation and New Technology. He teaches courses on Asset Pricing Theory (PhD level), Investment Management (MBA and BBA levels), Risk Management (MBA and BBA levels), and Financial Engineering (MBA and BBA levels).